might accentuate dry, flaky skin, so moisturise well beforehand! Overall I think this primer is great for day to day use as it's quite gentle, and helps make-up last longer without budging. However I think it doesn't help fill in indents in my skin from past acne scarring, and if I don't moisturise well, my nose area looks a bit dry - but only if I look closely into the mirror. Personally I think it'd be good for normal to oily skin types, who don't have uneven skin to worry about, who'd like this primer. 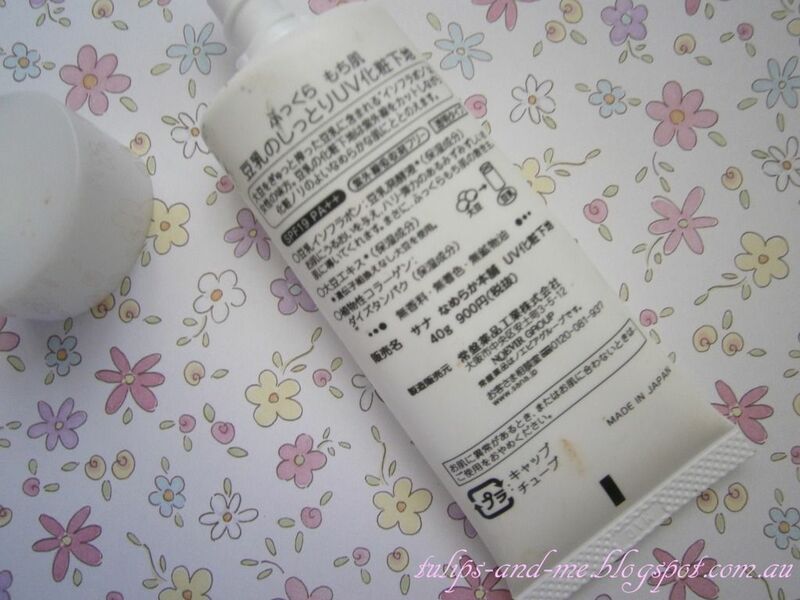 People with good skin, who like very gentle products might like this too. This primer sounds very nice! I have been looking for a new one since my e.l.f. primer ran out! This seems pretty nice for my oily skin hehe. Thanks for sharing! sometimes my skin gets kinda flakey do i dont think this one would be for me! shame it is limited to ebay and sasa! 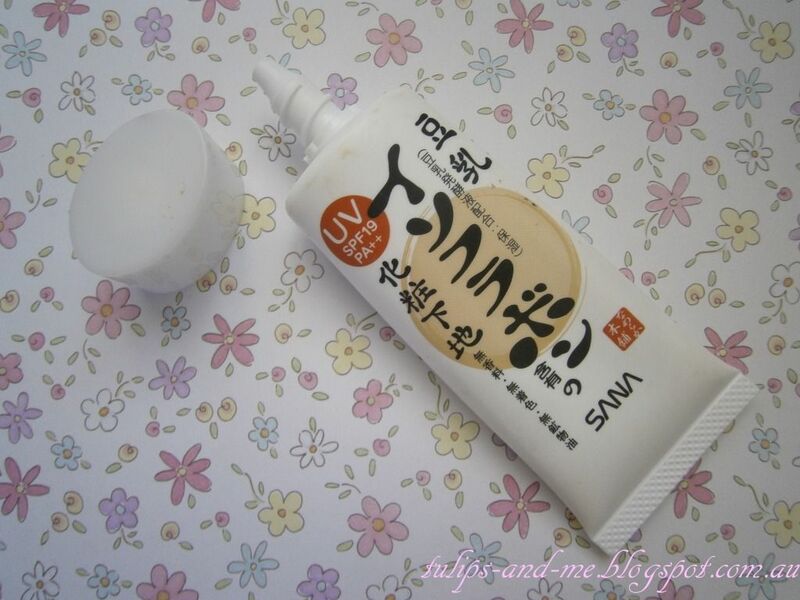 I have been wanting to try out products from the Sans Tonyu (soy milk) range. This makeup base looks good since I have oily skin. 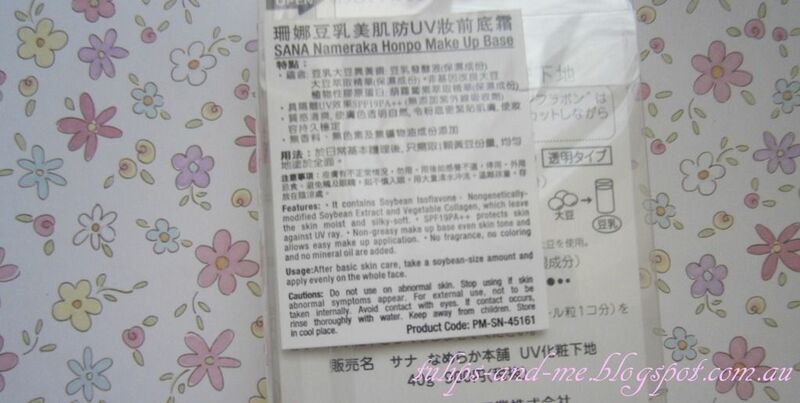 Yeah, I wish Japanese cosmetics would become more mainstream and accessible, lol. I'm still on the hunt for a good one!